What’s up with this thing called Facebook? The social networking site Facebook has become a popular place for teens and adults alike to stay in touch with friends, catch-up with old friends and make new friends. Having been asked about Facebook more than once I’m sharing here a few links to articles that may be helpful to you if you are a parent with a teen who wants to use Facebook or already does or if you are thinking about creating an account for yourself. But first here’s my disclaimer. I don’t use Facebook the way many do. I don’t have time. And that would be my caution. Facebook can be a huge black hole for your time that could be and should be better used elsewhere. About the only thing I use the social networking site for is for sharing a few important links and updates with those who have “friended” me. But I don’t even login to Facebook to do this because I use third party tools to pull updates from this site and my Twitter feed which are automatically posted to my Facebook account. I think Twitter is a simpler and cleaner option than Facebook for staying up-to-date with friends and it’s much more easily made private. But that’s another post. These will help you get started with Facebook. Justin Buzzard writes about Redeeming Social Life Online and shares “nine ways not to use Facebook” and “six ways to use Facebook to love God and others, and care for your own soul”. When you’re done with that then check out 10 Privacy Settings Every Facebook User Should Know. These should help get you started. 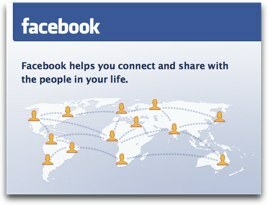 Share links in the comments if you have something else that will help newcomers to Facebook.